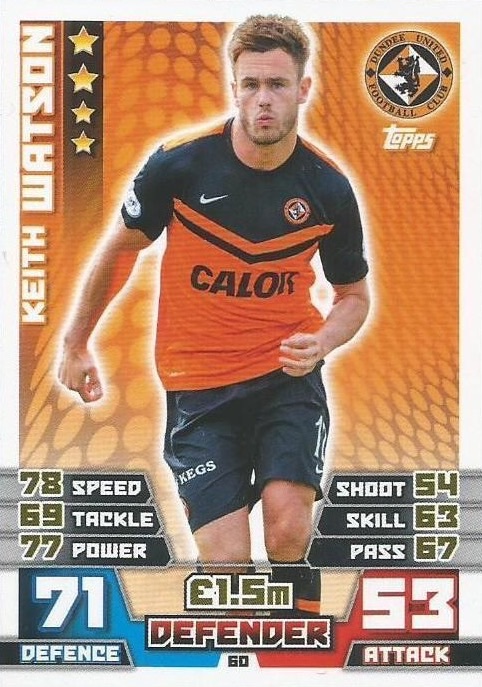 After playing for Livingston Star Boys Club, Keith came through the youth system at United. 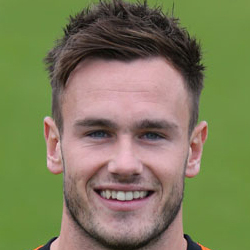 He was a Scotland youth international and spent a short time on loan at Forfar Athletic and later East Fife before he graduated to the first team in 2009. 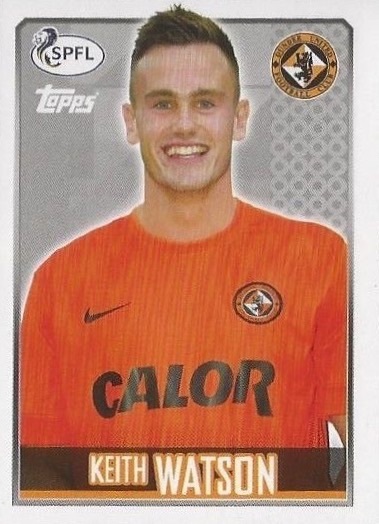 Despite suffering two serious injuries, he recovered to become a feature in the side and in 2010, he collected a winners medal in the Scottish Cup Final against Ross County. Keith established himself as a regular in the first team during the 2011-12 and he continued his form into the 2012-13 season. At the start of both seasons, he secured his place in modern day history as a scorer in both Europa League ties, against both Slask Wroclaw in 2011 and Dynamo Moscow in 2012. Under new manager Jackie McNamara, he played his 100th game for the Club. The return of Mark Wilson provided competition for Keith in 2013, but the full back held onto his place in the team, collecting a runners-up medal in the Scottish Cup Final in May, as one of the few players remaining from the side who won the trophy in 2010. With his contract soon coming to an end, Keith was sent out on loan to Hibs during the January transfer window of 2015, where he stayed until the end of the season. Upon the expiration of his contract, he was released. Keith was born on this date in Livingston. David Robertson was the hero for United as his injury time strike cancelled out a St Mirren comeback from two goals down, sending the Terrors into a 4th round meeting with Inverness. Peter Houston made three changes to the side that lost to Celtic last Sunday, with Sean Dillon and Prince Buaben dropping to the bench and there being no place in the squad for Danny Swanson. In for them came Keith Waston, Johnny Russell and captain Jon Daly. After the major disappointment of last seasons Scottish Cup Final, United were finally able to move on from that defeat and kick off a fresh cup campaign. The draw could scarcely have thrown up a tougher tie. United faced a challenging trip to to Fir Park where they lost narrowly to Motherwell just a couple of weeks earlier. During the warm up to this game Jarek Fojut had to withdraw due to illness and Keith Watson was promoted from the bench. This meant a re-shuffle at the back with Dillon and Souttar forming the central defensive pairing. Watson and Townsend filled the full back slots. Dow stepped in for the suspended Ciftci in the lone striker role. United were backed by a large tangerine following who peppered the goal mouth with streamers, delaying the start of the match by a few minutes while the clear up took place.